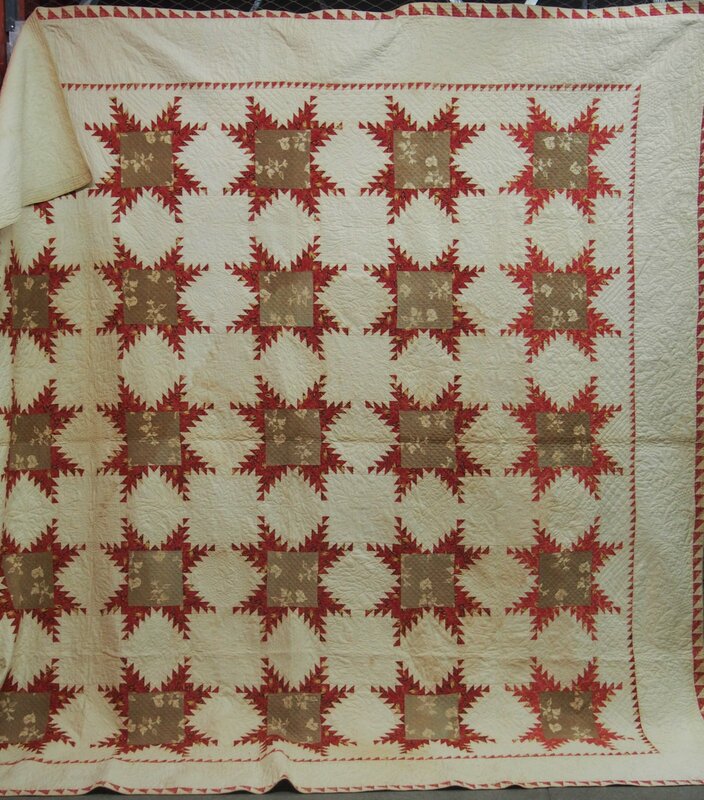 Just two early fabrics comprise this uncommonly seen iteration of an early pieced star design. Both fabrics are yummy - the center square is a chic print of ivory on a taupe-ish camel background, complemented by the fiery gold-on-red of the other print used for the points and border. Can be professionally laundered if the buyer prefers, right now it has a lovely right from the trunk age patina. Generously sized (dimensions will be posted) square with 25 identical blocks.